Battlegroup – Historical rules for WWII – Visit for the history and stay for the war gaming. The Battlegroup rule set; developed by Warwick Kinrade is a set of tabletop miniature war-games rules for recreating the battles of World War II, in any theater, using miniatures of any scale. We play in both 15mm and 28mm but the author plays in 20mm and I have heard wild stories of both 6mm and 54mm with no scale conversations. We wanted to use this page to review the rules and discussthe Battlegroup mechanics in more detail. The main rule book is a hardback book containing the rules, and a Normandy-based location-to-location campaign system along with scenarios and army lists for the Canadian 3rd Infantry Division and 12th SS Panzer Divisions, including all the vehicle and gun data cards required to get started. If were looking to just try out the game this would be the place to start because nothing else is needed. Theatre books are hardback, typically 200-300 pages and act as a source for your chosen theatre. They include history, narratives, maps and pictures describing the overall campaign and armies involved. They also include comprehensive army lists, vehicles and weapon statistics and any special rules that give the game the appropriate flavor for period. These would be your go to sources for the period you wanted to play, so if you interest was mid-war, eastern front battles, Kursk would be the book you want. One thing to note, most of the books are limited run, once the hardbacks sell out, they are gone. So if you want a book move fast otherwise you will have to settle for a PDF. The books themselves are premium quality, again hard backed, with thick glossy pages, excellent miniature photography mixed with historic photographs and all well bound. Available theatre books: as of 12/11/2018. Battlegroup Blitzkrieg (pdf only) – The next supplement for the ‘Battlegroup’ World War II gaming rules covering the invasion of Poland in 1939 and France in 1940. Blitzkrieg contains army lists, vehicle data and special rules for the first two years ofthe war, including France’s command chaos, the Luftwaffe’s aerial superiority and the swift German Panzermarsch! With nine new lists for the early war fighting. The Polish and German armies for 1939 and German Panzer and Infantry Divisions to fight French Light Mechanized Divisions, Armored Divisions and Infantry Divisions, the British Expeditionary Force and Belgian army in 1940.Also included are nine historical scenarios from Poland to Belgium and France.Heavily illustrated with inspiring miniature photographs, historical photographs and artwork. Battlegroup Barbarossa – This supplement for the Battlegroup gaming system covering the invasion of Russia in 1941. It includes army lists,vehicle data and special rules for the beginning of the war on the Eastern Front, including the frozen winter battles in late 41 and early 42. It includes seven new army lists (German panzer and infantry divisions, Russian mechanized corps and rifle divisions, Hungarian rapid corps, Finnish and Rumanian infantry divisions), modelling guides and a mini campaign for the Russian defense of Ostrog in late June 1941. Battlegroup Tobruk – contains a general overviewof the early North Africa campaign, from the Italian invasion of Egypt, throughthe long siege of Tobruk, to Operation Crusader and the Afrika Korps’counterstroke that would bring them to the Gazala Line in early 1942. Inaddition to North Africa it also includes background on the invasion of Creteand the Italian campaign in East Africa. With nine army listsdesigned to be played with the character of the principal combatants for NorthAfrica and Crete: the Deutsche Afrikakorps, the Italian Ariete armoureddivision, Italian Infantry divisions to face British (and Commonwealth) armoredand infantry divisions. Also, the LRDG and Auto Saharan patrols and for Crete, thearmy lists for the 7th Flieger Division facing the Commonwealth’s beleaguereddefenders of the island. With new special rules to adapt the core Battlegroup rules to the North African battlefields. Recreating the character of desert fighting,with its dusty conditions, reliance on tank warfare and mobile formations, andthe wearing effects of the harsh conditions, all helping to create games withthe distinctive feel of the desert war. Battlegroup Torch – contains a general overview of the laterNorth Africa campaign, from Gazala, through three battles at El Alamein to Operation Torch and the Allies’ attack into Tunisia. With British, American and French forces of 1st Army in the north and 8th Army pursuing Rommel’s Panzer Armee Afrika to the Mareth Line, and then beyond, in the south. This book covers the desert fighting from May 1942 to May 1943 and the Axis’ ultimatesurrender in Tunisia. Also included are nine army lists designed to be playedwith the character of the principal combatants for North Africa: the veteranDeutsche Afrikakorps for 1942 and Defenders of Tunisia for 1943, Italianarmoured and infantry divisions to face British (and Commonwealth) armoured andinfantry divisions. Also, for Tunisia, the first combat operations for the US1st Armoured Division and US infantry divisions, as well as ex-Vichy French ‘March’divisions, now turned against their former Axis allies. In addition new specialrules to adapt the core Battlegroup rules to the later North Africanbattlefields. Recreating the character of desert fighting, with its dustyconditions, reliance on tank warfare and mobile formations, and the wearingeffects of the harsh conditions. Also rules for the colder, muddy, difficulthill-country of northern Tunisia, a very different type of battlefield, allhelping to create games with the distinctive feel for the end of the ‘desert’war. Battlegroup Kursk (pdf only) – Four detailedarmy lists included: German Panzer and Infantry Divisions, to face the RussianTank Corps and Rifle Divisions across a series of scenarios or a short campaign”The Inglorious 12th July” for the savage tank battles at Prokhorovka. Battlegroup Fall of the Reich (pdf only) – A supplement to the Battlegroup gaming system covering the invasion of Germany 1945 with four new army lists (Russian, British and American armored spearheads pitted against”Defenders of the Reich” ad hoc battlegroups from Germany’s last desperatelevy), modelling guides and a mini campaign for the breakthrough toBerlin. Market Garden Campaign Supplement – 96 pagesoftback campaign supplement detailing the Market Garden operation inthe Holland September’44. 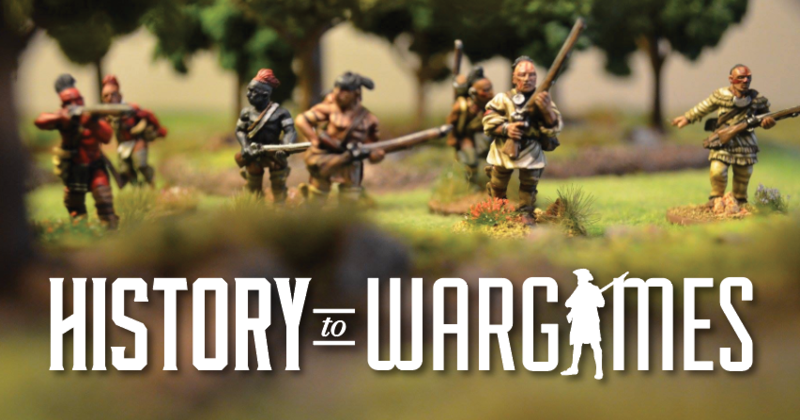 Packed full of historical information and narrative,scenarios and a mini campaign. Plus contains airborne army lists, amendments and additions to German army lists. Spring Awakening Campaign Supplement can be seen here. There are a few ways to start a first game of Battlegroup, the first is play one the scenarios,the second is to build a list using points or battle rating and third would be to just put out a few miniature. It will take a few games to get the nuisances down, so start small and parts of the rules can be confusing but keep plugging away; once you have called in a few artillery strikes and had a few close assaults it will come together. To start a turn the active player rolls diceto determine how many orders they have and then adds one more order for each officer. After orders have been determined; one unit is issued an order and then completes its action. Actions can vary and are listed in the rule book but are typically move and shoot, shoot and move, shoot and shoot, or move and move. Once the active player is out of orders it time to complete administrative actions and player two, starts their orders phase.